This Spring, the Oscar-winning actor becomes the face of Lacoste’s new campaign. Audacious, elegant, original and not afraid to go against conventions, Adrien Brody shares personality traits with Rene Lacoste, founder of the brand and tennis champion of the 1920s. You can see an interview with Brody here. 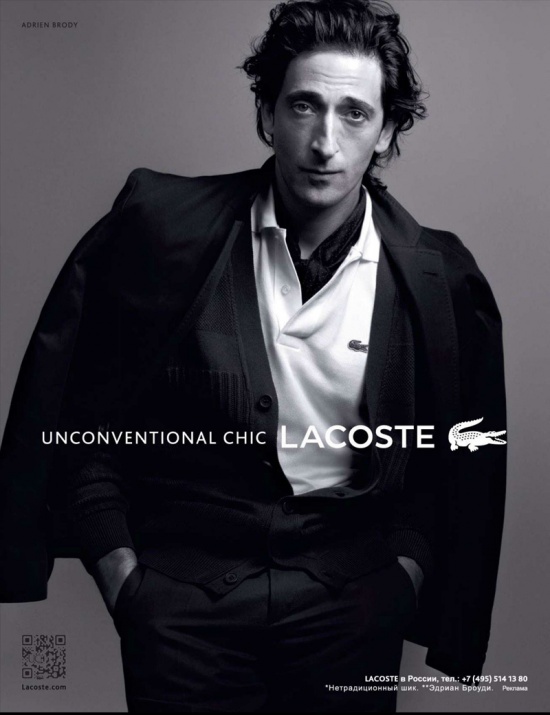 This entry was posted in Adrien Brody, Celebrities, Lacoste by JFP. Bookmark the permalink.